Singapore pioneer whisky bar Quiach Bar opens a flashier new outlet at South Beach Avenue, but still manages to retain its intimate, old-school charm of educating whisky drinkers both new and seasoned. 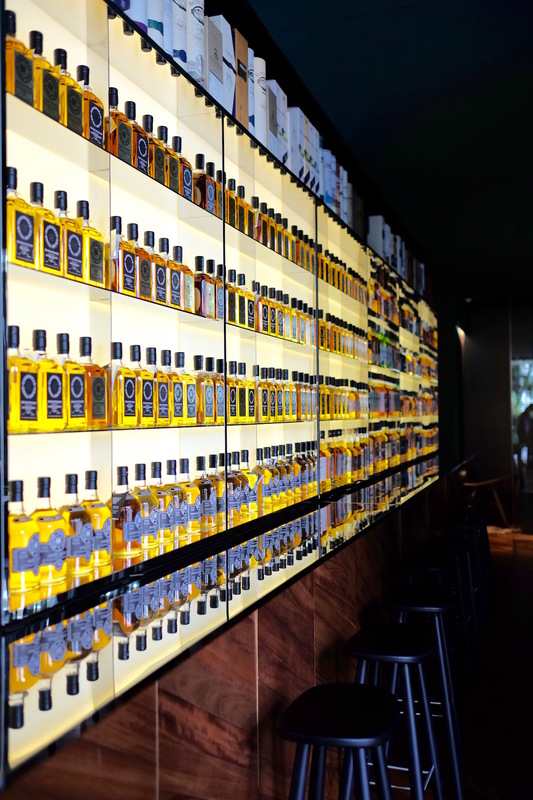 Ask any whisky veteran in Singapore who the pioneers of Singapore’s single malt whisky scene are and they may point you to the likes of La Maison du Whisky or Auld Alliance – but they’d be wrong. One of the earliest trailblazers is actually Quaich Bar, founded by husband-and-wife team Chua Khoon Hui and Joyce Ng almost a decade back at Grand Copthorne Waterfront. Their story with whisky goes back a lot longer, in fact – a simple pushcart in Tanglin Mall, The Whisky Store, a few years before their flagship whisky bar opened. Ten years down the road Quaich Bar has opened its second outlet at South Beach Avenue, next to where newish The South Beach hotel is located. It’s far swankier than the original outlet is too – its aesthetics are designed by award-winning Barcelona-based agency Lagranja, which also conceptualised the likes of FOC by Nandu Jubany and The Other Room. But despite the new outlet’s more modern trappings, the founders’ philosophy for it remains the same – to make whisky accessible to all, and to represent the lesser-known boutique distilleries. Much of that philosophy is derived from Chua and Ng’s past. They were one of the first to obtain a distributorship agreement with various whisky brands for Singapore in the early days, such as Macallan and even from independent bottlers such as Cadenhead’s and The Malt Whisky Co. Even today it continues to distribute various brands, including the likes of Goa’s Paul John Whisky, as well as Springbank‘s range of whiskies. For the beginner, Quaich Bar at South Beach can be somewhat intimidating with its offerings of over 500 different whisky labels that cover a gamut of styles from different whisky regions from around the world. The best place to start would be a tasting set to help initiate them into world of whiskies; with such sets patrons can also explore whiskies by styles, verticals, or even cask types. Those with a more seasoned palate and looking for an experience can consider rare and limited edition – sometimes one-off – whisky expressions specially sourced by Chua. Consider the Hazelburn 10YO Rundlets & Kilderkins ($38++ for 45ml), which is mostly out of stock around the world. Otherwise there’s Kilkerran Calvados Single Cask ($37++ for 45ml), sourced from just one cask that previously held apple brandy, of which only 60 bottles were made available and whose allocation had to be shared between Quaich Bar and a bar in Germany. Also only available by the dram is the Springbank 16 YO Local Barley ($38++ per 45ml), one of the most highly anticipated releases of the year. It was an iconic range of expressions released in the 1990s made with prisma barley grown at Low Machrimore Farm in the south of the Kintyre peninsula. 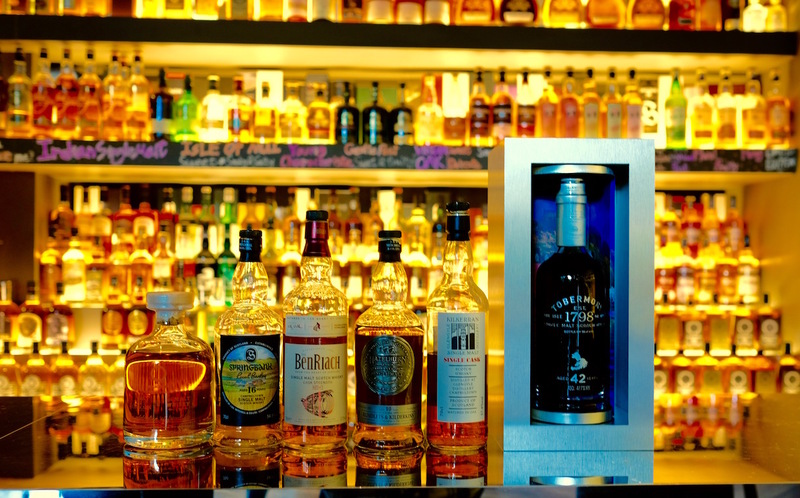 With just 9000 bottles worldwide, it is available only by the dram at Quaich Bar. “We sell whiskies like these by the glass so that more people can try them,” shares Chua. “We have always believed that whisky is a drink that everyone can enjoy. It is not an elite spirit,” he adds. But if your pocket allows it, the Glengassaugh 40 Years Old 1973 Quaich Exclusive ($156 per 45ml, $1,800 per bottle) – which came about when Stuart Nickerson from the Malt Whisky Company got possession of a cask filled with the 40 year old whisky from the Glenglassaugh distillery, and collaborated for this expression – boasts a Christmas cake explosion of dried figs, stewed plums and prunes on the nose, with a lovely creamy sweet palate replete with cocoa nibs, berry compote and a hint of oak spice. Similarly Quaich Bar also has a special Whisky Circle, a by-invitation only programme currently restricted to long-time supporters and whisky lovers that offers special privileges such as pre-launch rates for special whiskies and invitations to unique events. There’s even a “Buy Your Own Cask Service”, where Quaich Bar assist private customers to select their own cask and bottle it under their own label… but that would require an even more rigorous budget. For now, we’ll stick to these whiskies by the dram. You can find Quaich Bar at South Beach at 30 Beach Road #01-16 South Beach Avenue.